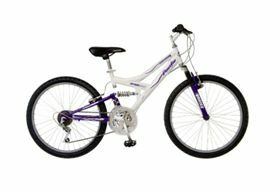 Last month, approximately 68,000 assembled bicycles sold at Meijer stores were recalled because the pedals could become loose while riding, posing a risk to riders. A lot of times we buy assembled sports equipment, such as a bicycle, at the store. What we, as consumers, do not realize is that the pedals or the brake mechanism may be put together improperly. We hardly suspect that the bike may be improperly assembled or that serious accidents and injuries may happen. The question then becomes whether the sporting goods/equipment stores can be held liable if an accident occurs because the bike was improperly assembled. The answer is yes. In a recreational sporting accident such as this, the consumer can bring a lawsuit against the sporting goods store and the company that assembled the bike for their negligence in assembling the bike. If you or your child was injured in a recreational sporting accident, talk to an experienced Philadelphia, PA sports and recreational accident lawyer about what you can do. An experienced lawyer can answer all of your questions and help you make the right decision for you or your child. Post a Comment to "Sporting Good & Equipment Stores May Be Liable For Your Bike Accident - By A PA Sports Injury Lawyer"